San Pedro is the home of The Port of Los Angeles World Cruise Center. 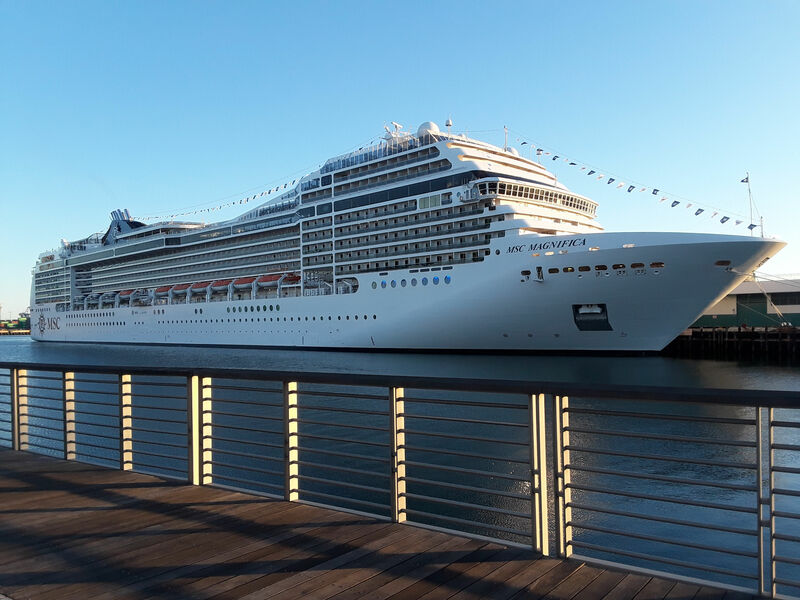 Major Cruise Lines offer vacation cruises to Mexico , Hawaii , Alaska , the Panama Canal , and other destinations around the world . Azmara Club Cruises , Celebrity Cruise Line , Costa Cruises, Crystal Cruises, Cunard Cruise Line , Norwegian Cruise Line , Oceania Cruise Lines , Princess Cruise Line , Royal Caribbean Cruises >and Catalina Express, along with other cruise lines offer frequent sailings that make San Pedro the busiest passenger port of call on the United States West Coast. Most Carnival Cruise Lines ships depart from Long Beach, California. 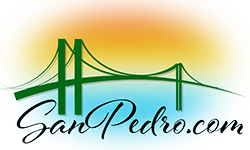 San Pedro remains the easy and economical place to stay before and after your cruise. 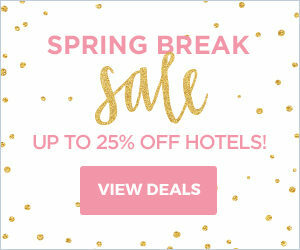 Find your your San Pedro Hotel discount deal here. The World Cruise Center is located at Berths 91, 92 and 93A/B or 100 E. Swinford St., San Pedro, CA 90731. See below for an interactive map and driving directions. Hours of operation: Open seven days a week, 24 hours a day. Free parking for the 1st hour. $18.00 Daily Maximum for a standard vehicle. $32.00 Daily Maximum for a oversize vehicle. 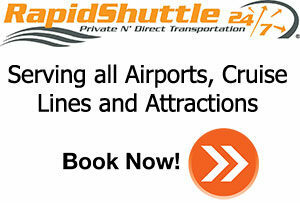 A courtesy shuttle bus is provided to and from the cruise terminal on scheduled ship days. The shuttle buses are not wheelchair accessible. All parking rates are based on per space only. If you occupy more than one space, you will be charged all occupied spaces. Parking fees may be paid by Cash, Travelers Checks, and Major Credit Cards only. Further information can be obtained at cruisecenterparking.com or by telephoning Parking Concepts at 310-547-4357. 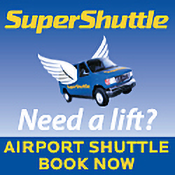 Travel time is approximately 30 minutes (40 minutes in traffic) from Los Angeles International Airport. Travel time is approximately 22 minutes (30 minutes in traffic) from the Long Beach Airport. The Port of Los Angeles World Cruise Center is located 6 miles west of Downtown Long Beach. Travel times may vary widely depending on traffic conditions. Please allow plenty of time for travel from the airports. There is easy freeway access to the World Cruise Center from all points. San Diego Freeway(405) south to the Harbor Freeway(110), then south on the Harbor Freeway to the CA 47 – Terminal Island exit. Merge right to the Harbor Blvd. Exit. Proceed straight through the Harbor Blvd. intersection and turn right into the World Cruise Center parking lot. San Diego Freeway(405) north to the Harbor Freeway(110), then south on the Harbor Freeway to the CA 47 – Terminal Island exit. Merge right to the Harbor Blvd. Exit. Proceed straight through the Harbor Blvd. intersection and turn right into the World Cruise Center parking lot. West on Ocean Blvd. to CA 47. Continue west on CA 47 across the Gerald Desmond Bridge and the Vincent Thomas Bridge to the Harbor Blvd. to San Pedro Exit. Proceed straight through the Harbor Blvd. intersection and turn right into the World Cruise Center parking lot. California 1 south to Santa Monica Freeway(10), Santa Monica Freeway(10) east to the San Diego Freeway(405), south on the San Diego Freeway(405) to the Harbor Freeway(110), then south on the Harbor Freeway to the CA 47 – Terminal Island exit. Merge right to the Harbor Blvd. Exit. Proceed straight through the Harbor Blvd. intersection and turn right into the World Cruise Center parking lot. San Diego Freeway(405) south to the Harbor Freeway. (110), then south on the Harbor Freeway to the CA 47 – Terminal Island exit. Merge right to the Harbor Blvd Exit. Proceed straight through the Harbor Blvd. intersection and turn right into the World Cruise Center parking lot. Hollywood Freeway(101) south to the Harbor Freeway(110), then south on the Harbor Freeway to the CA 47 – Terminal Island exit. Merge right to the Harbor Blvd Exit. Proceed straight through the Harbor Blvd. intersection and turn right into the World Cruise Center parking lot. South on the Pasadena – Harbor Freeway(110) to the CA 47 – Terminal Island exit. Merge right to the Harbor Blvd Exit. Proceed straight through the Harbor Blvd. intersection and turn right into the World Cruise Center parking lot. San Bernardino Freeway(10) or Pomona Freeway(60) west to the Harbor Freeway(110), then south on the Harbor Freeway to the CA 47 – Terminal Island exit. Merge right to the Harbor Blvd. Exit. Proceed straight through the Harbor Blvd. intersection and turn right into the World Cruise Center parking lot. Artesia – Riverside Freeway(91) west to the Harbor Freeway(110), then south on the Harbor Freeway to the CA 47 – Terminal Island exit. Merge right to the Harbor Blvd Exit. Proceed straight through the Harbor Blvd. intersection and turn right into the World Cruise Center parking lot. San Diego Freeway 405) north to the Harbor Freeway(110), then south on the Harbor Freeway to the CA 47 – Terminal Island exit. Merge right to the Harbor Blvd Exit. Proceed straight through the Harbor Blvd. intersection and turn right into the World Cruise Center parking lot. The Pacific Surfliner Thruway Bus Connection serves San Pedro with two scheduled stops in town. The World Cruise Center has Amtrak California Bus service from the San Pedro Thruway Bus Stop at the Catalina Terminal located at Berth 95. This station is unstaffed and there is no ticket, baggage or package express services. The Route Map & Schedule are here. Both the Amtrak California Pacific Surfliner the Amtrak California San Joaquin schedules have the bus service schedule and information. This bus service can be used to connect with nationwide Amtrak service at the Los Angeles Union Station. Further information can be obtained by calling (800) USA-RAIL. Amtrak now provides daily Thruway service to Cruise Line Port Areas in San Francisco, Long Beach, San Pedro and San Diego. Direct Thruways operate from Bakersfield and Los Angeles Union Station to the Queen Mary Carnival Terminal in Long Beach and to Catalina Terminal in San Pedro (where shuttles take you to the nearby San Pedro Cruise Ship Terminal). Our San Diego station is just three blocks from the downtown San Diego Cruise Ship Terminal. From Emeryville, our Thruways take you right to Pier 39,just 1-1/2 blocks from the San Francisco Cruise Ship Terminal at Pier 35. In some cases groups can arrange for motor coach service direct to the Cruise Ship Piers in San Francisco, Long Beach and San Pedro. Check with the group department at 1-800-USA-1GRP for details. Most of the Carnival Cruise Line Ships and some ships of the cruise lines owned by Carnival Corporation arrive and depart from Long Beach. All other Cruise ships depart from the The Port of Los Angeles World Cruise Center in San Pedro. U.S. Passport Services Apply online, download forms or check on your application status. Condé Nast Traveler Online The online version of the renown travel magazine. Excellent source of travel information information and fun to look at. Cruisepage.com Features information about more than 11,000 cruise itineraries and detailed reviews of over 300 ships. Good site! Porthole The leading cruise consumer magazine. Great Site! Seaview Cruise and Ferry Information Service An interesting web site located in Great Britain. Loads of information. Excellent resource! A Wedding for You Arrange your wedding aboard a cruise ship!